This might anger the manual enthusiasts. 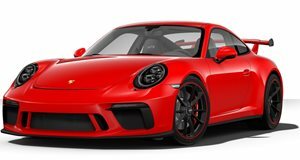 Enthusiasts were outraged when the 991.1 generation Porsche 911 GT3 was not offered with the option of a manual transmission. Luckily, Porsche has rectified this issue with the announcement of the 991.2 GT3, which will be available with a six-speed manual or seven-speed dual-clutch. Now, wealthy enthusiasts won't have to dish out over half a million dollars to buy a 911 R, which was the only special 911 model to come with a clutch pedal. The manual in the new GT3 will come as a no cost option, although it may actually end up having a significant cost. Most 911s charge extra for a PDK transmission, so having the PDK and manual both as no cost options in the GT3 technically means that people who order manuals are getting charged. However, the real cost of ordering the manual GT3 comes as a loss of time. YouTuber SuperSpeedersRob explains how manual GT3 owners may have to wait to receive their cars. As some astute Porsche fans may have noticed, the GT3 configurator didn't launch with the option to build the car with the manual option. Some people thought this might be an error, but it was actually planned. Mr. Ferretti was planning to sell his 997 GT3 and buy a new GT3 for his upcoming trip to Europe. He was planning to get the car through European delivery in September, but Porsche informed him that production on the manual cars won't begin until the end of September. This means that when the GT3 starts hitting showrooms, there will only be PDK models for quite some time. Manual drivers are used to being patient with slower shift times, but now they will have to be patient waiting for their cars.